Following a series of very successful monthly meetings, the Borough's new Neighborhood Watch Program will hold its next get together at 6:00 pm Wednesday evening, April 24, 2019 at Council Chambers. Police Chief Randall Miller, some of our officers and Mayor Colondo will be there to answer questions and provide details about how the system is working and what our residents can contribute to keep their neighborhoods and streets safe and free of crime. This meeting will also address what to do in an active shooter situation and a guest speaker will be there to provide answers and expertise on how to handle those types of crises. We urge residents to come out to this third meeting and be a part of making our community even better. Hope to see you there! The Nazareth Borough Yard Waste Recycling Center on G.W. Stoudt Boulevard will open on April 2, 2019. Residents with proof of residency can drop off yard waste, clippings and branches during open hours. A valid driver’s license with a Nazareth Borough address must be presented at the time of drop off as the site is staffed and monitored. The Center will be open Tuesday, Wednesday and Thursday from noon till 6:00 pm, Saturdays from 10:00 am till 6:00 pm and Sundays, 10:00 am till 4:00 pm. The facility is closed every Monday and Friday. Open hours are subject to weather conditions and available staffing. The facility will remain open until approximately December 1, 2019. Mayor Lance Colondo has declared a Nazareth Borough Snow Emergency set to begin at 4:00 pm on Sunday, March 3, 2019 with a scheduled end at 10:00 am on Monday, March 4, 2019. Residents are advised to move their vehicles from Snow Emergency routes and can move them to the lot at the Nazareth Borough Park or available parking in the lot at Bill Gold Field on South Green Street. There is "NO" available parking at the lot adjacent to the Borough Municipal Building at 134 S. Main Street. Access the General Information tab on the left side of the Website Home Page and click on Snow Emergency for Snow Emergency Route street listings and more information. Violators of the Snow Emergency policy will be ticketed and towed at the owner's expense. Due to the growing problem with bed bugs, the Borough Trash Hauler, J.P. Mascaro & Sons has issued new regulations for the disposal of mattresses and box springs. Effective immediately and in an attempt to halt the spread of bed bugs, all mattresses and box springs put out for disposal must be wrapped in plastic. The hauler urges residents to use the plastic sheeting which covers their new replacements bedding to wrap the old and unwanted bedding which is going out for pickup. It is important too that the closure end of the plastic be sealed with tape or other adhesive so that common bed bugs, if present, cannot escape and infect those involved in pickup. J.P. Mascaro & Sons hopes for full cooperation in this matter and warns that it will not pickup old bedding that is not wrapped. If you're looking to save on your summer swimming in our Park, count on purchasing a Pool Pass at the "pre-season" discounted rate. Starting on January 28, 2019, the Borough will accept Pool Pass purchases at reduced pre-season rates. Children and Juniors ages 4 - 17 can purchase a pre-season pass for $90 and that same rate is in effect for Seniors ages 18 - 61...$90 for a summer of swimming. Families of up to and including four members can enjoy a "Family Pool Pass" for $180 and for each family member over the four (4) person limit, a mere $10 additional dollars adds another family member. Senior Citizens age 62 and older can swim the entire summer for $75. Access the "Pre-Season" Pool Pass agreement here on the Borough website...click on Recreation, then Pool, then download the Pool Pass Agreement and get/send it with your payment to the Borough Office. Hurry because this offer ends on March 15, 2019. Call the Borough Office at 610-759-0202 with any questions. Pennsylvania Act 101 requires that businesses, professionals, non-profit organizations, institutions and industrial and residential landlords recycle plastic containers, glass bottles and jars, newspapers, office paper, magazines, junk mail, phone books, cardboard and yard waste. 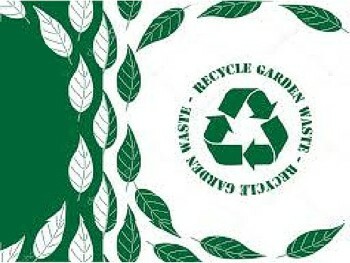 In order to apply for grant funding under this law, the Borough is requesting that all who have received the Borough business mailer must return the "completed" 2018 Commercial Recycling Form to the Borough office by February 15, 2019. The form states that those with questions or difficulties providing the information, call the Borough Office at 610-759-0202. At its December 2019 Business Meeting, Nazareth Borough Council approved its 2019 Operating Budget containing a one half mill tax increase making the Borough real estate tax rate 16 Mills. Council also honored longtime Nazareth Youth Baseball volunteers Glenn Recker who ran the program for ten years and Rose and Joe Lichner who assisted Bill Gold in administering the day to day duties of Nazareth Baseball for nearly three decades. Recker and the Lichners received leather bound Borough resolutions, plaques from the current leadership of Nazareth Youth Baseball and hearty applause from the large gathering. Following a bidding process for the Borough's garbage collection, only one bidder stepped forward to offer prices and the terms for a new contract. Like other local communities, rates are rising at an alarming rate after a four year period that saw Borough residents benefit from a $5 per quarter reduction. Based on the bid of J.P. Mascaro & Sons, the only bidder for Borough collection services, quarterly charges will now be $90 for curbside pickup or $360 per year keeping our Borough at the low end of rates in the Lehigh Valley. New bills are out and you will see the new rates that will be in effect for the first quarter of 2019. Our Borough is fully committed to environmental education for its residents and we encourage people to access the following link to help keep our planet safe. The site is called "Backyard Environmental Education" and the link is - https://www.improvenet.com/a/backyard-environmental-education. The Borough's Neighborhood Watch Initiative will conduct its next meeting on Thursday, October 25, 2018 at 6:00 pm at Council Chambers, 159 West Center Street. Northampton County District Attorney John Morganelli will be the guest speaker that evening. Interested residents are encouraged to attend. As is the Borough's tradition, Trick or Treaters will put on their costumes and look for the tastiest treats on Wednesday evening, October 31, 2018 from 6:00 pm till 8:00 pm. Nazareth Borough is currently looking to fill positions of Full Time Borough Clerk and Part Time Seasonal Public Works Employees. Please visit our Employment Page for more information. Due to the regular reopening of the school year, the Nazareth Park Pool will be closed on Monday, August 27, 2018, Tuesday, August 28, 2018, Wednesday, August 29, 2018, and Thursday, August 30, 2018. The Pool will reopen for the final four days of the 2018 swimming season, Friday, August 31, Saturday, Sunday and Monday of Labor Day weekend with standard operating hours...opening at noon each of those days. You can buy a 2019 Nazareth Pool Pass at 2018 Prices for only one more week as "Early Bird Pricing" ends with the closing of the Pool on Labor Day. Stop by the front desk on Labor Day weekend and gets your now...and enjoy the savings all of next summer. The Borough of Nazareth is seeking citizens to serve on various Boards and Commissions. Interested persons should submit a letter stating which commissions or boards that they would be willing to serve on and also include their contact information as well as any other personal information which might help Council make its choice. Applicants must reside in the Borough of Nazareth. Storm sewer work on East Center Street will necessitate closing that street to "through traffic" from Thursday, August 16, 2018 through Friday, August 24, 2018. Affected residents are advised to proceed slowly and cautiously when traveling to their homes but regular traffic is advised to avoid East Center Street until the project is complete and the street is officially reopened on or about Friday, August 24, 2018. Check here on the Borough website for updates and traffic status. The Borough asks that you cooperate until this important project is completed. The Nazareth Borough Pool is again offering "half-price-remainder of the 2018 season" pool passes which will go on sale on August 1, 2018 and allow pool patrons, admission to the Pool from August 1, 2018 through Labor Day and all of that closing weekend. The Pool closes for the season on Labor Day September 3, 2018 and walkup admission that day is $1.00. The pool is also offering "Early Bird" 2019 Pool Passes at 2018 prices to be sold at the front desk allowing admission for all of the 2019 season at 2018 pricing. That special "discounted" offer expires on September 3, 2018. Take advantage of these specials while you can! Work on the Park Tennis Courts will necessitate closing them on July 27, 2018 for powerwashing and then the week of July 30th for resurfacing and relining. The Basketball Courts will be closed for powerwashing on Friday, July 20, 2018 and closed again for resurfacing the week of July 23rd. Call the Park Office at 610-759-3522 to confirm when open use will resume. 1. The use or discharge of any type of firework in any Borough park or playground is expressly prohibited by Borough ordinance. a. A person must be a minimum of 18 years of age to purchase, possess and use consumer fireworks. 	Consumer fireworks within 150 feet of a residential or business structure, or vehicle. 	Consumer fireworks on public or private property without the express permission of the property owner. 	Consumer fireworks or sparkling devices within, or throw consumer fireworks or sparkling devices from, a motor vehicle or building. 	Consumer fireworks or sparkling devices into or at a motor vehicle or building or at another person. 	Consumer fireworks or sparkling devices while the person is under the influence of alcohol, a controlled substance or another drug. c.	Penalty: A person violating any of the above provisions commits summary offense and, upon conviction, shall be punished by fine of not more than $100. With record heat expected on this pre-July 4th weekend, the Vigilance Hose Fire Company #1 will offer a "cooling station" at our Firehouse, 49 S. Broad Street on Saturday, June 30, 2018 from 12-7 and again on Sunday, July 1, 2018 from noon till 7:00 pm. Relief from the expected sweltering heat is not far away and our Firemen will be there to offer hydration, shade and comfort from the torrid temperatures. Our Firemen are proud to serve and happy to keep you safe and cool when the thermometer hits record territory! The Borough has cancelled the previously advertised June Blockwatch Meeting, originally scheduled for Thursday evening, June 21, 2018 due to the absence of some of the principals who are leading this initiative. Council apologizes for this late notice of the schedule change and invites everyone to the Wednesday, July 25, 2018 meeting. June 11, 2018 is the last official day of school meaning that our Pool will open Tuesday, June 12th at noon and will do so for the balance of the Summer...weather permitting. Among the changes for 2018, new picnic tables have been added near the Refreshment Stand and the Pool will now offer evening parties for a rental fee. All Pool questions and reservation requests should be directed to Pool Manager Diane Mullen and her staff at 610-759-3522. Following three very successful monthly meetings, the Borough's new Neighborhood Watch Program will hold its next get together at 6:00 pm Thursday evening, June 21, 2018 at Council Chambers. Police Chief Randall Miller, some of our officers and Mayor Colondo will be there to answer questions and provide details about how the new system is working and what our residents can contribute to keep their neighborhoods and streets safe and free of crime. We urge residents to come out to this third meeting and be a part of making our community even better. Hope to see you there! Starting May of this year, 2018, your sewer bill will have an entirely new look. Gone are the days of a sewer bill that is difficult to open. The new sewer bill will arrive at your residence or business in a regular #10 envelope with the bill enclosed. The front of the bill will show the current charges for the billing quarter, and the back side of the bill contains essential information you need to read. To pay your bill, just remove the top portion of the bill and follow the instruction given on the back of the bill. Please note: the mailing address has changed for all payments made by mail. For all the customers of the Nazareth Borough Municipal Authority who pay their sewer bill on time, we thank-you. For any customers who do not pay their sewer on time and owe the Nazareth Borough Municipal Authority more than $200.00 (Two-Hundred Dollars), please carefully read the following: The Nazareth Borough Municipal Authority has signed contracts with Pennsylvania American Water Company and Easton Suburban Water Authority to assist the Nazareth Borough Municipal Authority in the collection of delinquent sewer accounts by shutting off the water service to these accounts. What does this mean? If you owe more than $200.00 (Two-Hundred Dollars) in unpaid sewer bills, the Nazareth Borough Municipal Authority will proceed with water terminations. To avoid water terminations, the Nazareth Borough Municipal Authority will offer payment plans on a per case basis. Payment plans will not be available once water shut off proceedings commence. Once water service is shut off, all delinquent monies must be paid in full to the Nazareth Borough Municipal Authority before the water service is turned on. Thank-you for being a valued customer of the Nazareth Borough Municipal Authority. Following on the heels of two very successful February and March meetings, the Borough's new Neighborhood Watch Program will hold its next get together at 6:00 pm Thursday evening, April 26, 2018 at Council Chambers. Police Chief Randall Miller, some of our officers and Mayor Colondo will be there to answer questions and provide details about how the new system is working and what our residents can contribute to keep their neighborhoods and streets safe and free of crime. We urge residents to come out to this third meeting and be a part of making our community even better. Hope to see you there! Mayor Lance Colondo has declared a Nazareth Borough Snow Emergency for Tuesday, March 20, 2018 to go into effect in the evening at 9:00 pm. The Emergency will remain in effect until Wednesday evening, March 21, 2018 and will end at 9:00 pm. WFMZ Channel 69 in the Lehigh Valley has been informed and will also be listing the Snow Emergency. Residents who are on the Nixle System will be notified or may have already received the alert. Anyone with a vehicle parked on Snow Emergency Routes is urged to remove it so that Nazareth Borough Public Works can begin snow removal as quickly as possible. Violators will be ticketed and/or towed. Address all further questions to the Nazareth Police Department non-emergency number at 610-759-9575. Nazareth Borough will be collecting your yard waste curbside during the week of April 16, 2018. Due to the recent storm, The Ecology Committee has decided to open the Yard Waste Facility on Thursday 3/8 and Friday 3/9 from 12:00 to 4:00 PM. Also Saturday 3/10 and Sunday 3/11 from 10:00 AM to 4:00 PM. For Borough Residents only. Proof required. Coming on the heels of its very successful February organizational meeting, the Nazareth Neighborhood Watch Program will have another get-together at 6:00 pm Thursday evening, March 22, 2018 at Council Chambers. Police Chief Randall Miller, some of our officers and Mayor Colondo will be there to answer questions and provide details about how the new system will work and what our residents can do to keep their neighborhoods and streets safe and free of crime. We urge residents to come out and be a part of making our community even better. Once again, we hope to see you there as the program grows! There are phone calls being received regarding the current Borough tax bills. Please note the address for the Borough taxes has NOT changed. Please do not send your tax payments to any other address other than your mortgage company or the Borough tax office at 132 S Main Street, Nazareth PA 18064. Discounted "Pre-Season" Pool Pass rates are still in effect and are being sold at reduced rates through March 15, 2018. They offer a nice savings on "in season" rates and an even greater savings if you are a frequent Pool goer and choose to pay walk-up rates. Right now, Family Passes for four are sold at 2015 rates of $165 for the season with $10 per person for more than four family members if purchased before the March deadline. Youth Passes for ages 4 through 17 are $75 while Senior Passes for those 18 through 61 years of age are $90. Senior Citizen Passes for all 62 years and older are $75. Go to the "Parks and Recreation" tab here on the website, Click on the Pool tab and download the agreement. Fill out your agreement and mail it with your payment to the address on the bottom of the Form. Discounts end on March 15, 2018 so don't delay and send your application and payment. Rates are the same for Borough and non-Borough residents. The Lehigh Valley Planning Commission's first public meeting to help update the Regional Hazard Mitigation Plan is scheduled for 7:00 pm, February 20, 2018 at Pinebrook Family Answers, 402 N. Fulton Street in Allentown. There's no predicting when the Lehigh Valley will see the kind of damaging floods it saw in 2006 or the punishing winds that Superstorm Sandy brought in 2012 but being prepared requires planning now and your help is needed states Environmental Planning Director Geoff Reese. Reese goes on to say "we want people to tell us about the experiences they've had during these times of emergency. We need to know what they think to do this plan right". With the help of a Federal Grant, the Lehigh Valley Planning Commission, in partnership with the state, Lehigh and Northampton counties, last September launched a more than year-long effort to update a two-county plan that will spell out how each municipality to include the Borough of Nazareth, should prepare and respond to both natural and manmade disasters. The process includes input from community leaders and emergency management officials and people will have their chance to weigh in during this February 20th get together, the first of three public meetings. Nazareth Borough will be represented by Councilwoman Jessica Teel and Emergency Management Director Mark Morella Jr.
At the February 5, 2018 Business Meeting, Nazareth Borough Council will welcome several longtime Board and Commission members who are leaving public service and honor them for their time with our government group. Glenn Boerstler has been a devoted and contributing member of the Borough's Planning Commission for decades and his service has helped with the short term and long range direction of our Borough's housing, industrial and senior living growth. Former resident Jim Gordon brought his expertise to the Municipal Authority for two terms and helped with plant expansion, growth and service into new areas and upgrades to the Borough's overall sewer service. Anthony Todora served on the Borough's Zoning Hearing Board for two terms and helped with decisions regarding our Zoning Ordinance and appeals for variances. Gail Kromer has served twelve years on the Nazareth Ambulance Board and has overseen ambulance service improvements and the building of a new Ambulance headquarters. Stephanie Varone Vella led the Borough's downtown initiative as Downtown Manager for the past six years and with it came the growth of the Farmer's Market, Facade Grants for downtown merchants to upgrade their facilities and the recruiting of several new businesses. Stephanie owns a prosperous business, Smooch, in the Borough's downtown. Dennis Huth, of Keller Zoning has served as the Borough's Zoning and Code Enforcement Officer since 2005 and has overseen the new apartment registration system, apartment inspections and violations and interpretations of the Borough's Property Maintenance Code among his other zoning and building inspection duties. Huth's retirement became official at the Borough's December 2017 meeting. All of those leaving public service have made significant contributions to our Borough and deserve our gratitude and the honors which they will receive that evening. As the Nazareth Police Department continues to grow, even better protection for our citizens and improved enforcement is sure to follow. Our residents will now be able to play a part in that initiative with the establishment of the Borough's new Neighborhood Watch Program, set to kick off with an organizational meeting at 6:00 pm Thursday evening, February 22, 2018 at Council Chambers. Police Chief Randall Miller, some of our officers and Mayor Colondo will be there to answer questions and provide details about how the new system will work and what our residents can do to keep their neighborhoods and streets safe and free of crime. We urge residents to come out and be a part of making our community even better. Hope to see you there! First Ward Councilman Brian F. Regn was laid to rest on Tuesday, January 2, 2018. We had all come to know and love Brian as a caring man, a wonderful father and husband and a contemporary on Council who put his heart into his work. Brian's gentle manner instantly made him our friend and deserving of our respect. Brian brought our Borough new technology and new thinking about where we should be headed to function more efficiently in a world which demands that we stay up to date. He was "the voice of reason" on Council and chose his words wisely...and those words were always wise. Brian helped to christen the Borough's new Pool as he was part of the ceremonial first dive at the Grand Opening Ceremony and his input in providing the guidance for the security cameras which kept the Pool safe, was invaluable. But perhaps best of all, we will remember him as a kind soul, a quick witted man of the people who was respectful of his friends on Council and the people he represented. God speed Brian....you will be missed by us all! Following the swearing in of new Mayor Lance E. Colondo and Councilpersons Jessica Teel, Carl R. Strye Jr., Charles A. Donello and Christopher D. Crook, Council selected Daniel Chiavaroli to be its President and Larry Stoudt as Vice President. Fire Chief John Deutsch, 1st Assistant Jerry Johnson and 2nd Assistant Joe Ionovale then took the Oath before Captain William Keifer and his Special Fire Police group of Angela Barnes, Kerry Frey, Ray Fogel, John Gostony, David Powell Sr. and Royce Getz were sworn. A regular business meeting followed as Council then filled a host of Board and Commission posts. Council also moved to make Randall Miller its Police Chief and retained Albert Kortze and Keystone Consulting Engineers as Borough Engineer. At its December 2017 Business Meeting, Nazareth Borough Council approved Ordinance #831 keeping the 2018 Real Estate Tax rate at 15.5 Mills, just as it was in 2017. The ordinance also sets salaries and wages for all Borough employees for 2018, including those covered by the new Police Labor Agreement and the recently signed Public Works Employee Contract. Council also recognized outgoing Mayor John Samus and thanked him with a resolution for his over twenty years of public service while also honoring with a resolution, outgoing Councilman Brian Regn who has represented the Borough's First Ward. Council honors will go to retiring Zoning and Code Enforcement Officer Dennis Huth, outgoing Planning Commission member Glenn Boerstler for his 40 plus years of public service and twelve year Ambulance Board member Gail Kromer, at the January 2, 2018 Reorganization Meeting. At that 6:00 pm Meeting, new Mayor Elect Lance Colondo, recently elected Councilmen Christopher Crook from the Borough's First Ward and Carl Strye Jr. from the Borough's Third Ward as well as returning Councilpersons Jessica Teel and Charles Donello will be sworn in. That evening, Council will elect new officers, make appointments and swear in Fire Chiefs and Special Fire Police. The Borough's Refuse and Recycling provider, J. P. Mascaro & Sons, will pick up Christmas Trees on Friday, January 5, 2017 during regular pickup as well as Thursday, January 11, 2018 and Thursday, January 18, 2018. Please note that trees can be dropped off at any time at the Borough parking lot below the Essroc Fields Soccer Facility on Sage Street. Nazareth's Downtown will see several early December events helping to kick off the 2017 Holiday season. It will all begin on Thursday, December 7th with the yearly Tree Lighting Ceremony in the Circle scheduled to begin with Santa's arrival at 7:00 pm. Two days later, on Saturday, December 9th, the 2018 version of Christmas in Nazareth will be held in the downtown and at the Whitfield House with free meter parking all day long. Also on that Saturday, the 58th version of the Nazareth to Bethlehem Peace March will have participants leave the Circle and head down Route 191 for Bethlehem at precisely 12 noon. Nazareth Borough Council gave unanimous approval to a 2018 Operating Budget which appropriates nearly $123,000 for street repairs, adds additional lighting to the Circle while expanding its Police fleet through the purchase of a new SUV. The best news for Borough taxpayers is that the Borough will continue its operations next year without a tax increase. The Budget will be available for public view at the Borough Offices at 134 S. Main Street for ten business days beginning on November 14, 2017 and ending on November 28, 2017. Three years ago, Nazareth Borough joined the Nixle Early Warning System so that residents could be alerted to severe weather, snow emergencies, criminal activities, missing persons and pets and traffic events. Nixle keeps you up-to-date with relevant information from your local public safety departments, school districts, County Emergency Management and our 911 Center as well as state and federal agencies who monitor weather and critical events. Nixle offers free notification services from local police departments, county emergency management offices, municipal governments and their agencies. The Nixle service allows government agencies to send alert messages to local residents via phone, email and the web. Information is delivered almost instantly but a resident must first sign up for the free service. Click HERE and select the Sign-Up button. If you need help getting registered or wish to report a lost pet or an event that should need an alert, you can all our Police Department at 610-759-9575. The Spotted Lanternfly, an invasive insect, arrived in the Lehigh Valley area in 2014. We have been informed that the Spotted Lanternfly has been detected in the Borough. The majority of the Lehigh Valley has been placed in the quarantine area. More information can be found HERE. Following several successful years of recruiting businesses to the Borough's Downtown and her ability to secure Facade Grants for merchants, Council again approved its yearly $20,000 stipend for Downtown Manager Stephanie Varone. Varone has recently recruited two brew pubs, a 4,000 square feet Main Street facility nearing its opening in November and another of comparable size on Belvidere Street which will open at some point in early 2018. Varone also administers the very popular Farmer's Market held each Saturday morning, May through October, in the Circle. Council also passed Ordinance #830 which prohibits the planting and growing of "running bamboo". Council also approved the staging of the annual Pumpkin Pie 5K Race sponsored by the Greater Valley YMCA to be held on Thanksgiving morning and gave approval to the Tree Lighting event to be held on Thursday evening, December7, 2017 at 7:00 pm in the Borough's Circle. Three term Councilman Jack R. Herbst passed away on August 12, 2017. Herbst served 12 years as a Third Ward Councilman from 2002 through 2014. Jack's list of achievements is extensive but it was his determination and his follow through to have the Borough construct both a Skate Park and also the Lehigh Valley's best Dog Park for which he will always be remembered. In 2007 and 2008, he fought against heavy odds and vocal opponents who contended that neither Park was needed nor important which only encouraged him to singlehandedly secure the public support and the funding for both Parks by appealing to Northampton County Council and neighboring municipalities for their financial backing. Herbst also solicited donations from businesses and citizens to build the Dog Park fencing system while writing the rules and regulations that allowed pets to enjoy the open spaces the new Park provided. An advocate for all that our Park system had to offer, Jack helped to institute the "Concerts in the Park" series and the Sunday Night "Movies in the Park" program both of which were immensely popular while playing a major role in the rebuilding of the main baseball field used by our high school team and American Legion baseball. When the Borough Offices moved from 30 Belvidere Street to its current home at 134 South Main Street, Herbst coordinated the transfer of property and records and setup the internal makeup of the new building while negotiating with First Energy Services to get our Borough the most favorable electricity rates to be found. In 2009, for all of his efforts, his accomplishments and his determination to make our Borough a better place in which to live, the Borough nominated him as a candidate for Councilperson of the Year and the State of Pennsylvania honored him as the second place finisher among thousands of candidates. Jack Herbst had dreams for his hometown but his real strength could be found in his ability to turn those dreams into reality. Our Dog Park, Skate Park, Baseball Field and our current Borough offices will stand as a testament to what a determined man was able to accomplish. Jack leaves behind wife Karen and son Stefan....and a legacy of dreams turned into the reality of parks, facilities and programs we are utilizing and enjoying today. Nazareth Borough Council approved rates for the 2018 Pool Season and at the same time established a Pre-Season Pool Pass Offering allowing 2018 passes to be sold for 2016 rates through March 15, 2018. "Pre-Season" pool passes will be sold at the following rates...$165 for a Family of four with additional (over four family members at $10 per person, $75 for a Junior Pass ( ages 4-17), $90 for Seniors ages 18-61 and $75 for Senior Citizens. The sale of "Discounted" preseason rates will start immediately and the reduced prices will remain in effect until March 15, 2018. In-Season 2018 Pool rates will not be increased from regular 2017 rates as follows: Junior Season Passes will be $85, Senior Season Passes will be $100, Senior Citizen Season Passes for those 62 years old and older will be $75, Family Passes will be $175. Daily weekday admissions for those ages 4 to 17 will be $5.50, adults ages 18-61 will be $6.50 and senior citizens ages 62 and older will be $5.50. Weekend and Holiday admissions for those aged 3-17 will be $6.50, adults age 18 -61 will be $7.50 and for senior citizens 62 and older admission will be $6.50. Twilight rates for all ages and categories will be $4.50 per person to swim after 4:00 pm. Saturday, August 5th brought the Borough the tenth edition of "Martin On Main" and the great weather ensured that a larger than normal crowd would enjoy terrific music and some wonderful food along with crafts and many interesting displays. Right from the opening bell, Main Street was packed with hundreds out for an afternoon of what is traditionally one of Nazareth's best downtown events. The smell of some of our favorite sandwiches and barbecued meats made for happy diners who listened to great guitar music and greeted old friends from the crowded Circle all the way to the Belvidere Street intersection. Many of the attendees praised the new "Charleston-Style" gas lighting in the Circle and how much it has enriched the Colonial look of the center of our downtown. No question about it, it was another great Summer Saturday in the place we all love to call home! Each year the Borough offers a significant reduction in Pool Pass prices for the entire month of August and the first week of September by slashing regular rates by 50%. August offers warmer pool water and plenty of sunny and balmy days. If you do the math, you'll save plenty with a half price Pool Pass and you'll enjoy the best that our Pool has to offer. Get yours now! The month of July has always been Summer's highlight with Nazareth Day, the Fireworks Show and the Chamber sponsored July 4th Kazoo Parade. All of those events have traditionally put our Borough's best foot forward and have seen massive attendance. The July 4th Kazoo Parade is a fun event and a chance to show your patriotism and perhaps even show some musical ability as well. The event begins at 9:30 am at the High School and wraps up at Council Chambers with a closing ceremony nearly an hour later. Saturday, July 15, 2017 is Nazareth Day with our Park filled with vendors, crafters and others showing off their wares. Pool admission that day is $1.00 and everything concludes at dusk with the Vigilance Hose sponsored Fireworks Show. There are a number of other events and clinics in the Park throughout the morning and afternoon hours so stop by and enjoy another great Nazareth Day. There are still available dates and times for use of the pavilions in the Park or table rentals. Interested persons can call the Nazareth Pool at 610-759-3522. 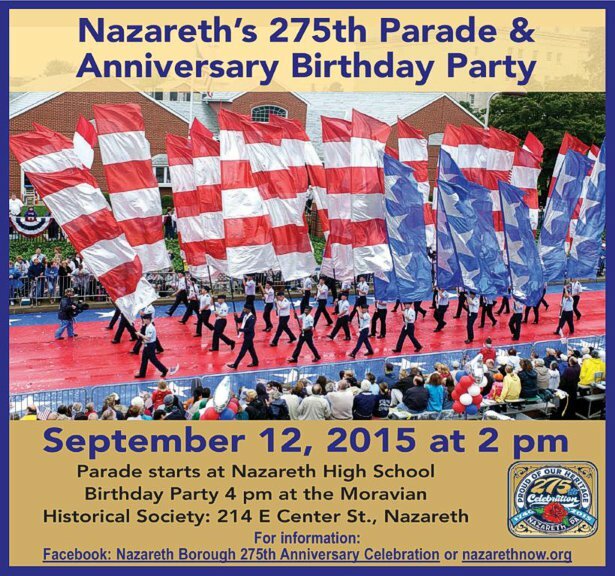 Further inquiries about Nazareth Day can be directed to Nazareth Day Chairman Donald Broad at 610-759-6268. The Council of the Borough of Nazareth has moved officially to change the date of the July 2017 Business Meeting to Wednesday, July 5, 2017 at 6:00 pm so that residents and Council members can enjoy an uninterrupted and long Holiday weekend. Questions about the change can be directed to the Borough Office at 610-759-0202. The change will be advertised in the June 20th and June 27th issues of the Nazareth Key and in the June 23rd issue of the Home News. Lots will be happening this weekend and in the days that follow as the Chamber of Commerce sponsored and highly successful Food Truck Festival will make its second run on Saturday, June 3rd. The Moravian Historical Society will hold its 39th Arts and Crafts Festival the same day from 9:00 am till 3:00 pm. A sponsored trolley shuttle will be available to ferry patrons between both events. The Farmer's Market will again be open on Saturday and the Pool will be open both Saturday and Sunday as the 2017 season gets underway. The filming of the movie "Control" will again occupy some of the Borough's downtown on Thursday, June 1, 2017 and again at Council Chambers on Sunday, June 4, 2017. The highly successful Fireman's Kiwanis Carnival gets underway, Wednesday, June 7th and runs through Saturday, June 10th in our Park. The rankings are out and the Borough of Nazareth ranks as the seventeenth "Safest City" in the state of Pennsylvania. Seven Lehigh Valley municipalities made the annual Top 100 List with Nazareth being the highest ranked at Number 17 followed by Wescoesville at Number 29, Whitehall at Number 40, Fullerton at Number 54, Hellertown at Number 69, Northampton at Number 89 and Bangor at Number 95. Using licensed data, each city’s crime index was rated against the state and national average crime index. And, Nazareth has a crime index that makes it the #17 safest city in Pennsylvania! The full report and a more detailed methodology can be found here: https://lendedu.com/blog/safest-cities-state/ Everyone wants to know that they live in a safe place! It provides a sense of comfort and security. Nazareth is one of the safest towns in the entire state of Pennsylvania. Everything in the report is free to use. 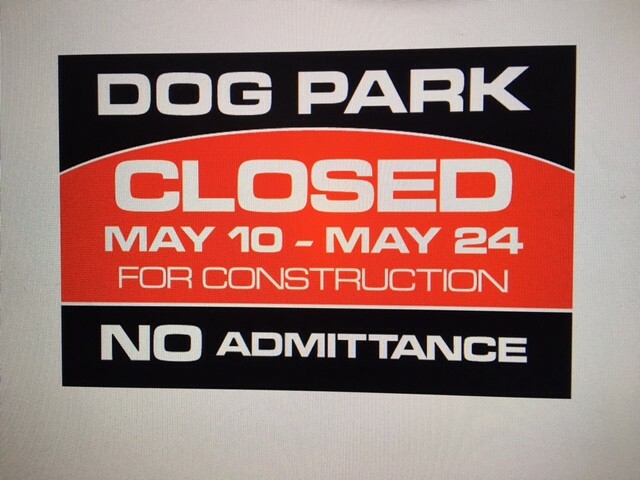 The dog park will be closed May 10th thru May 24th due to construction. The fence is being replaced and there will be absolutely no admittance. With only a few weeks remaining till the 2017 Pool Season gets underway, season pass sales are in full stride. The Summer of 2017 promises to be an enjoyable one for all patrons with several events already scheduled. A disc jockey will make three appearances at the Pool and promises to provide hours of great music and some fun and games for all patrons. Call the Pool Hotline at 610-759-3522, leave a message and the Pool Staff will return your call and make all of the arrangements for another summer filled with fun and the convenient enjoyment of the Nazareth Pool. Saturday, May 27, 2017 is opening day and season passes are a "best buy" so gets yours now. Council will welcome Nazareth High School's PIAA 3A State Champion Wrestling Team and individual champions Sammy Sasso and Travis Stefanik to its April 2017 Business Meeting. Each of the varsity wrestlers and coaches will be given a leather -bound Borough Resolution for safekeeping, addressing their recent State Championship and another season of national wrestling acclaim. Wrestling Hall of Fame Coach Dave Crowell will also be honored for his remarkable career achievements. Bids will also be opened for a number of recent Council solicitations at the March 30, 2017 Workshop Meeting. Bids for new Dog Park fencing, bids for rental equipment and road materials, bid responses for the sale of Borough property on Hickory Street will be opened and reviewed and finally responses to the Borough's "Request for Proposals" for Zoning and Code services along with rental registry and inspection services will be accepted for review and later approval at a followup meeting. The Borough of Nazareth is accepting proposals for individuals or a firm to perform duties and services related to Zoning and to enforce codes and ordinances. Additionally, services for annual Rental Registry and Rental Unit Inspections are part of the duties specified in the proposal. Copies of the "RFP" can be obtained at the Borough Office 134 S. Main Street, Nazareth, PA 18064 during business hours 8:30 am till 4:30 pm, Monday through Friday. Further questions relating to the proposal can be directed to Borough Engineer Albert Kortze of Keystone Consulting Engineers, 2870 Emrick Boulevard, Bethlehem, PA 18020 610-865-4555. Further instructions and conditions are stated in the "RFP" documents. Sealed Proposals must be clearly marked "Request For Proposals For Zoning and Code Enforcement Services". Deadline for responses is 4:00 pm, March 30, 2017 at the Borough Municipal Building. Interested Persons can click on the Parks & Recreation que on the left portion of the website Home Page, then click on Pool and then click on "download our Pool Pass Agreement Here" to access the needed information and form for a Pre-Season savings. Purchasers will be given their Pool Passes on their first swimming date at the front desk of the Bathhouse. The offer of reduced prices ends on March 15, 2017. The Nazareth Pool will officially reopen for the 2017 season at noon on Saturday, May 27, 2017 and will again be open on Sunday, May 28, 2017 and Memorial Day, Monday, May 29, 2017. Scheduled closing for all Pool days is 7:00 pm, contingent on enough patronage and of course the weather conditions. The Pool will reopen on Saturday, June 3, 2017 and Sunday, June 4, 2017 for regular hours and closing times and will then open daily from noon till 7:00 pm when school officially ends in early June. Because of the uncertainty with snow days and makeup days, the Nazareth Area School District has not yet issued a final school closing date. 1) A yearly salary of nine thousand, five hundred ($9,500.00) dollars. 2) Printing of annual tax bills and the appropriate postage for mailing. 3) If the Elected Collector desires, office space for collection at 132 S. Main Street at an annual rental fee of one thousand ($1,000.00) dollars which can be paid in monthly increments. The rental fee includes all heat, water, sewer, electric and garbage at "no extra" charge plus an off street parking space in the rear of the building. The elected collector will pay for telephone charges. 4) Newly elected Tax Collectors are required under Act 48 of 2015 to complete a basic training program and examination in order to be issued a "qualified tax collector" certification by the PA Department of Community and Economic Development. 5) All "qualified tax collectors" , whether new or returning, shall be required to obtain two hours of mandatory continuing education during their four year term of office and present proof of that compliance to Borough Council. This position is governed by stipulations contained in the Pennsylvania Borough Code which lists job requirements, necessary public access, office location and hours of operation particulars. Please contact the Northampton County Election Office at (610) -559-3055 for more information about filing for this office. Questions about the office in general and all other inquiries can be addressed to the Borough Treasurer at 610-759-0202 or on the Questions and Comments portion of the Borough website. In accordance with the Pennsylvania Borough Code, the Borough of Nazareth is offering for sale, by sealed bid, an approximate .75 acre vacant tract of land, known as Hickory Street, Nazareth, PA 18064 (hereinafter "Property"). The Property is located off Hickory Street, adjacent to North Broad Street and Schoeneck Road and is identified as Northampton County Tax Parcel ID # J7SE2A11 0421E. The Property will be sold, in fee simple, and the minimum bid shall be in the amount of Fifty Five Thousand Dollars ($55,000.00). Bids shall be addressed to The Borough of Nazareth and be delivered to the Borough Municipal Building, in such a manner so as to be received at the Borough Municipal Building, 134 S. Main Street - Main Floor, Nazareth, PA 18064 during business hours, 8:30 am till 4:30 pm Monday through Friday, on or before 4:00 pm, March 28, 2017. The Bid Package shall be contained within a sealed envelope and have marked specifically on the exterior of that envelope the following: "Hickory Street Property Bid". Bids will be opened at Council Chambers, 159 West Center Street, Nazareth, PA 18064 at 6:00 pm on Thursday, March 30, 2017. It is the intention of Borough Council to accept the highest, compliant bid at its Public Meeting, Monday, on the third day of April, 2017, at 6:00 pm unless extended. Council reserves the right to reject all bids. Each bidder shall state, with specificity, the actual bid amount, on a Bid Form, provided by the Borough. The fully completed Bid Form shall be accompanied by an executed Agreement of Sale (hereinafter "AOS"). The Bid Form and AOS can be obtained at the Borough Municipal Office, 134 S. Main Street - Main Floor, Nazareth, PA 18064 during business hours, 8:30 am till 4:30 pm, Monday through Friday. If the Borough accepts the bid, it will promptly notify, in writing, the successful bidder and execute the AOS. Within five (5) days of receipt of notification of the acceptance of the bid, the successful bidder shall deliver to the Borough, a certified check made payable to "The Borough of Nazareth" in the amount of ten percent (10%) of the bid which amount shall be the deposit under the AOS. In accordance with Section 1201.1 of the Borough Code, settlement on the property shall be completed and the full purchase price paid within sixty (60) days from the date of acceptance of the bid by Council. The successful bidder shall pay the full amount of all costs, fees and charges associated with conveyance of the Property, including without limitation, deed preparation by the Borough Solicitor and all applicable taxes. Additional information relating to the Property is available for inspection and copying at the Borough Municipal Office. A site inspection may be arranged by contacting the Borough Public Property Chairman, Frank S. Maurek at 610-759-0576. The process of getting your name on the ballot for the several Borough Council openings for the May 16, 2017 Primary Election is currently underway. The Mayor's seat is up for election and so is the Tax Collector position, both for four year terms. There are Council opening in both the First and Second Wards and two openings in the Borough's Third Ward, all for four year terms. Those who prevail and win the May Primary will be on the General Election ballot for November of this year. Spring 2017 Nazareth Area Midget Baseball Association Sign-Up's are now available. Signups are Jan. 28th and Feb. 4th. Also info is on Facebook at Nazareth Area Midget Baseball. Nazareth Borough Council met on Tuesday, January 2, 2017 as Mayor Samus had our Borough's Fire Chiefs and Special Fire Police, take their Oaths of Office. Council then appointed various members of the community to serve on its Boards and Commissions to include Rick Kocher to the Planning Commission for a four year term, Christopher Crook to serve a three year term on the Library Board, incumbent Cathy Huber to serve another three year term on the Zoning Hearing Board, Robert Krause to return for another five year term on the Municipal Authority, Gail Kromer to serve a one year term on the Vacancy Board and Larry Stoudt and Carl R. Strye Jr. to return for terms on the Ambulance Board. Council also passed Ordinance #825 which did away with the Recreation Commission only to replace it with the new Nazareth Day Commission which will be led by Donald Broad. Council also passed motions to hire another full time police officer for a one year probationary period and similarly hired two other part time police officers. The Council of the Borough of Nazareth has established the following times and dates for its monthly meetings. Monthly Workshop Meetings will be held on the last Thursday before the first Monday of each month at 6:00 p.m. in the Nazareth Borough Council Chambers, 159 West Center Street. Monthly Business Meetings will be held on the first Monday of each month except when Monday is a holiday. In the case of a Monday holiday, the regular Business Meeting will be held on the first Tuesday of the month. The Business Meeting will begin promptly at 6:00 p.m. Any change to the above meeting schedule, times or location will be preceded by a written notice specifying cancellation, postponement or change of time or venue. Due to the Holiday week and all its activities, Council has cancelled its January 2017 Thursday evening Workshop Meeting which normally would have been held on December 29, 2016. Council has also rescheduled the Monday Business Meeting which normally would have occurred on January 2, 2017 and moved that Meeting to Tuesday evening, January 3, 2017 because the New Year's Holiday is being officially celebrated on Monday January 2, 2017. Both the rescheduling and the Workshop cancellation were advertised in the Nazareth Key weekly newspaper and the Home News. Get a 2017 Nazareth Pool Season Pass at 2016 Prices! Click HERE for more information. At its December 2016 Business Meeting, Nazareth Borough Council passed a "balanced" $4.7 million Operating Budget to address all of its 2017 needs. At the annual Budget Workshop in late October, Council initially faced Budget requests from Department heads which forced them to reject a million and a half dollars of expenditures for equipment like milling machines, pavers and Pool Sun Shades. Instead, Council chose to address its needs rather than its wants as many projects were eliminated and equipment rental was the option selected over actual purchase. At the December 5th Meeting, Mayor Samus also recognized and honored Borough resident Kathleen Lauria for summoning Police and Emergency Services when a neighbor was not seen for days. Lauria's awareness and concern resulted in the saving of a life and Officers Jeremy Kahle and Randall Pompei answered the call for help, forced entry into the home where the resident had been immobile lying on a floor for over four days. Their actions saved a life and they were duly honored at the Meeting with a commendation presented by Mayor Samus and Police Commissioner Randall Miller. Mayor Samus also commended Police Officer Stephen Schlieg for helping to deliver a baby while on duty. Surrounded by family members and the newborn and mother, Schlieg accepted congratulations and a Police commendation as the meeting attendees applauded. In other news, Council also passed Ordinance #823 which prohibits truck traffic on various Borough streets to include North Street between Main Street and Broad Street, Main Street between North Street and Belvidere Street, Center Street between Green Street and Broad Street, South Street between Broad Street and Franklin Street and Franklin Street between Walnut Street and South Street. Mayor John Samus will help to kick off another Holiday Season in Nazareth by welcoming revelers to the Borough's Tree Lighting Ceremony on Thursday, December 1, 2016 at 7:00 pm in the Circle. The event is held annually through the auspices of the Nazareth/Bath Area Chamber of Commerce and the Vigilance Hose Fire Company who co-sponsor the festivities. Two days later, on Saturday, December 3, 2016, from 11:00 am till 4:00 pm, the Moravian Historical Society will hold Christmas in Nazareth in the Borough's downtown. There will be free meter parking that day. The Moravian Historical Society will also stage their annual Walking Tour on Saturday, December 10, 2016. Go to the Moravian Historical Society website, www.moravianhistoricalsociety.org for more details. 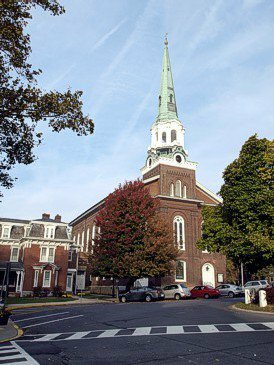 The Borough's Moravian Church on the Circle will also serve as the 12 noon starting point for the 57th annual Nazareth to Bethlehem Peace Pilgrimage on Saturday, December 10th. At its November 7, 2016 Borough Business Meeting, Council passed a proposed "balanced" 2017 Operating Budget. Escalating healthcare costs for employees and higher general Borough insurance premiums along with an increase in overall operating expenses forced Council to increase taxes by one-half Mill for 2017 costing the average Borough homeowner approximately $25 for the year in extra taxes. The Budget will be available for public inspection at the Borough Office, 134 S. Main Street during regular business hours, 8:30 - 4:30 pm each day, Monday through Friday from November 14th through November 26, 2016. In other Business Meeting news, rates for the 2017 Pool season were passed with "early bird" sales to end on March 15, 2017. Early buyers can save approximately $10 by purchasing Pool Passes by March 15th. Council also will advertise an ordinance change restricting truck traffic on certain streets. Final passage of that ordinance should come at the December 5, 2016 Business Meeting. Four candidates submitted resumes and letters of interest to be named Councilperson to fill the vacancy left when John N. Samus was named Mayor on September 6, 2016. At its September 29, 2016 Workshop Meeting, Maurice Heller, Steve Narracci and Jessica Teel all told those in attendance of their interest in the position and how they could serve our Borough. Former Councilman Jeffrey Corpora was unable to attend the Workshop but his correspondence told everyone of his willingness to serve. At the Borough Business Meeting on Monday, October 3, 2016, Vice President Larry Stoudt moved to appoint Nazareth native Jessica Teel and a unanimous vote of approval followed. Teel was sworn in that evening to serve a term which ends on December 31, 2017. Nazareth has never had an Olympic participant until Joe Kovacs recently won a Silver Medal in the Shot Put event. Kovacs' success in Rio, on a world stage, is unprecedented for our Borough which passed a Resolution in his honor in July of this year. Council will welcome Kovacs to its October 2016 Business Meeting on Monday, October 3, 2016 at 6:00 pm where he will be presented with a leather-bound Resolution honoring him for his achievement. Council will also vote to appoint a candidate to serve the balance of the Second Ward term as Councilperson resulting from the appointment of John Samus as Mayor. Four candidates submitted their credentials to Council and three of them appeared at the recent Borough Workshop Meeting to present their personal interest in the position. John Samus first came to Council in 1986 representing the Borough's Second Ward as a Councilman. After three four year terms on Council, Samus left because of a shift change at his employer, Hercules Cement Company and to follow his daughter's softball career at Ohio University. Samus was again elected in 2004 to serve another term before a second work scheduling situation required him not to return to Council. John was active for the 250th Anniversary celebration in 1990 and over his years on Council has chaired the Ecology, Law and Fire Committees while serving on the Borough's Police and Public Works Committees. Samus also served on the Board of the Nazareth Municipal Authority. John and wife Susan have a son and a daughter and grandchildren, all of whom reside in central Pennsylvania. John was unanimously approved as appointed Mayor to serve through the first Monday of January 2018 on September 6, 2016. The Borough of Nazareth is seeking a candidate for the office of Councilperson to serve until the first Monday of January 2018. Specifics and requirements follow below. Deadline for applications is September 24, 2016. One Council vacancy is to be filled. (1) Candidate must be a resident of the Borough's Second Ward to apply for the opening. (3) A general resume of the applicant's qualifications for the office must be presented to the Borough Secretary by 4:30 pm on September 24, 2016. This document can be mailed to the 134 S. Main Street Office or dropped off at that location during business hours 8:30 am - 4:30 pm Monday - Friday. (4) Include a short statement/letter of interest giving reasons why the applicant seeks appointment. You may include any particular skills or experience you could hope to offer. Drop off or send with resume. (5) Candidates must appear at the Workshop Meeting on Thursday, September 29, 2016 at 6:00 pm for a meeting with the current Council. The meeting will be at Council Chambers 159 West Center St. The Nazareth Borough Police Department is accepting applications for the position of Full Time Police Officer. Applicants must be a US citizen, possess a high school diploma or equivalent, be at least 21 years of age, possess a valid driver’s license, and have successfully completed Act 120 Academy and be able to be MPOETC certified. For more information please visit our Civil Service page. The Nazareth Park Pool will be open on Friday, September 2, 2016 for regular business hours because area schools are not open that day as part of the Labor Day weekend. Pool pass entry and regular admission rates will apply for that day. The Pool will enjoy its last day of 2016 business on Labor Day, Monday, September 5, 2016 and then will officially close for this season. Nazareth Borough thanks all patrons for their attendance and welcomes comments, suggestions and criticisms on this website's "questions and comments" section. Triple B will be in the park (Band Stand) on Saturday, Sept 3rd from 6:00 pm to 8:00 pm. The Borough's August 2016 Business Meeting was held on Monday evening, August 1, 2016. Among Council's many decisions was the setting of a date and time for Trick or Treat Night in the Borough which will be held on Monday evening, October 31, 2016 from 6:00 pm till 8:00 pm. Council also passed an Ordinance making Pine Street "One Way" north from Center to Chestnut Street and Cedar Street will become a "two way" street from Belvidere to Walnut Street. Council also passed a motion to direct the Civil Service Commission to establish a civil service list of potential candidates for the position of police patrol officer and passed a resolution honoring thirty five year crossing guard Darlene Peters upon her retirement. Back on July 5, 2016 Nazareth Borough Council approved Resolution No. 7 - 16, honoring, by all accounts, our Borough's very first Olympic competitor....Joe Kovacs Jr.. Kovacs qualified to compete in the Shot Put and with the world watching the Games in Rio de Janeiro, Joe will hopefully bring home the gold and will most certainly put the name of our Borough out there for all to see and hear. Twenty five years ago, our Refreshment Stand in the Park was run by Kovacs' father and his mother. His father passed away in the late 1990's and his mother, JoAnna Rampulla Kovacs, was a pretty good Track and Field athlete herself for Nazareth High School. This is historic for the Borough and should rank up there with Mario Andretti's 1969 Indianapolis 500 victory, especially should Kovacs earn a medal. Council hopes to have Joe come to a future meeting after the games have been completed to accept the Resolution and all of our thanks and best wishes. Pool passes will be sold for one half (1/2) their regular price on August 1st and thereafter. Family passes...family of four... will be reduced from $165 to $82.50, Junior Passes (Ages 6 - 17) to $37.50, Senior Passes (Age 18 and over) to $45.00 and Senior Citizen Passes (Age 62 and older) will be $37.50. Purchasers will have the use of the Pool for daily admission until the start of school on Monday, August 29, 2016 and weekends through Labor Day, Monday, September 5, 2016. Daily admission rates will not change for the balance of the 2016 Pool season. Nazareth Borough Council has passed and advertised a change to the start of future monthly meetings. All regularly scheduled Borough Workshop Meetings, held on the last Thursday before the first Monday of each month will begin promptly at 6:00 pm at Council Chambers, 159 West Center Street. Similarly, all regularly scheduled Business Meetings held on the first Monday of each month will also begin promptly at 6:00 pm also at Council Chambers, 159 West Center Street. The Borough Budget Workshop held on the last Wednesday of October each year, will also begin at 6:00 pm. Excitement is in the air as Year Two is set to begin as the Nazareth Pool will reopen at noon on Saturday, May 28, 2016. With temperatures expected to be near 90 degrees for all three holiday weekend days, a huge turnout looks to be likely. Patrons can buy day tickets on a "walk-up" basis or purchase season passes on any of the three weekend/holiday days. School is still in session so weekend-only hours will continue until the last day of classes on June 8, 2016. The Refreshment Stand is expected to be open so swimmers can have drinks, sandwiches or snacks during regular Pool hours, noon till 7:00 pm. Our 2016 Pool Pass Agreement is now available online. Applications should be completed in its entirety and taken to the PARK. This CIPP grant is an opportunity limited to owners of businesses in Nazareth's downtown business dristrict. The Borough of Nazareth is accepting applications for the position of Full Time Police Officer. This is a Civil Service position. Applicants must be a US citizen, at least 21 years of age, and possess a high school diploma or equivalent. As part of the civil service process, candidates are required to pass written, oral, and polygraph examinations. Candidates must be physically capable of performing the essential functions and tasks of a police officer. Candidates will be subject to a comprehensive background investigation. For more information, documents, and requirements, please visit the Civil Service page. Nazareth Borough Council met on Monday, January 4, 2016 for its biannual Reorganization Meeting. The Fall 2015 elections returned First Ward Councilmen Frank Maurek and Michael Kopach for four year terms and Brian Regn for a two year term. In the Second Ward, Larry Stoudt and Carl Fischl each were returned to Council for four year terms while Dan Chiavaroli will serve his eighth four year term and Lance Colondo was elected to a two year term in the Third Ward. 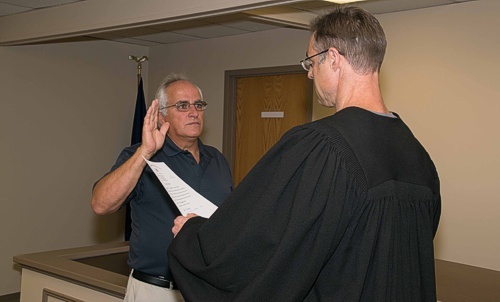 Mayor Carl Strye Jr. began the proceedings by swearing in all seven re-elected Councilmen followed by oaths for returning Fire Chiefs Danny Keenhold, John Deutsch and Chris Keenhold. Officers and members of the Borough's Special Fire Police were next to be sworn before Council again nominated Dan Chiavaroli as its President and Larry Stoudt as Vice President of our governing body. The November 3, 2015 election saw all seven current Councilmen who were up for re-election retain their spots on Council. In the Borough's First Ward, Michael Kopach won a fifth consecutive four year term while Frank Maurek won a third consecutive term. First term Councilman Brian Regn also retained his seat but for a two year term. In the Borough's Second Ward, Carl Fischl was re-elected to his second term on Council while Larry Stoudt was victorious and will serve his ninth four year term on Council. Council President Daniel Chiavaroli also won for the ninth time while Lance Colondo was re-elected to a two year term. The two year terms of Regn and Colondo are the result of mid-term appointments to Council and those seats will return to four year terms in 2018. Following a year which seemed to pass at breakneck speed with the Pool Dedication, a summer of fun in our Park and all of the 275th Anniversary hoopla, there's still plenty to do in Nazareth as Fall 2015 marches toward the dark days of winter. All of the Borough's parks and outdoor facilities remain open and at no cost to users. There's plenty of playground equipment at each venue for young and even old to use or try the West End Walking Trails for some healthy outdoor exercise. Our Dog Park remains open and not only offers a great place for your favorite pet to romp and play but the facility is picturesque and offers stunning Fall foliage views from its hilltop location. Our Borough Park on North Broad Street has basketball, tennis and volleyball courts and the Skatepark remains open until its seasonal closing on December 1st. Trick or Treat Night as always falls on October 31st and children can show off their costumes and fill their bags with candy from 6 to 8 pm that evening. Thanksgiving Day offers Nazareth's biggest "in town" Race/Walk, the YMCA's Pumpkin Pie 5K and one week later, on Thursday December 3rd, the annual Tree Lighting Ceremony takes place in our Circle at 7:00 pm. One of the highlights of the year, Christmas in Nazareth, will be held throughout the downtown, in the Circle and at the Moravian historical sites on December 12, 2015. This immensely successful all day event features displays, Christmas Carolers, and tours of the Borough's downtown and gets everyone into the Christmas spirit. There's plenty to do and see in our Borough even when the cold weather approaches...it's a great time to get out and enjoy all that our town offers. Senator Mario Scavello was a very welcome guest at the Borough's October 5th Business Meeting. The Senator appeared and presented the Borough with a Senatorial Proclamation congratulating our community on its 275th Anniversary. Scavello was loudly applauded for his remarks about the Borough of Nazareth before reading the Proclamation and receiving an even warmer welcome. President Daniel Chiavaroli accepted on behalf of the Borough and thanked the Senator for his involvement in helping to secure a 2014 Library Grant and for his involvement with the Borough's Economic Development Commission's latest grant for facade restoration in our Downtown. Saturday, September 12, 2015 will serve as the grand finale for a summer of celebrating Nazareth’s 275th Anniversary and what a summer it was. Things got underway in early May with a kickoff party at the Whitfield House followed by Nazareth Day at an Iron Pigs game later in May. An Ecumenical Service in the Park highlighted the June activities and Historical Tours through the Borough in mid August provided a look at Nazareth's roots and its earlier times. But the real highlight should be the Parade and Birthday Bash over the September 12th weekend when residents, businesses, clubs, bands and schools get to show the Lehigh Valley and expected visitors from across the region, their finest and their love for this wonderful town we all love to call "Home". The Parade starts at Belvidere and Liberty Streets at 2:00 pm and takes the traditional parade route west on Belvidere Street to Main Street then turns north to the circle and right on Center Street. Following the parade's conclusion a Birthday Party will take place at the Whitfield House starting at 4:00 pm. Everyone is invited and encouraged to attend. Who will cut the cake and lead the partiers as they sing "Happy Birthday" to our wonderful hometown? Find out for yourself and be sure to attend. Saturday, July 18th will be another special day for our Borough as another version of Nazareth Day unfolds in our Park and our Downtown. The activities begin bright and early in the Borough Park with vendors and plenty of activities as the day unfolds. The Downtown too should be jumping as the final day of Sidewalk Sales continues and the Circle serves as the hub for a full slate of things to do and lots to see. The new Pool offers $1 swimming for all patrons on that day before the grand finale, the annual Fireworks Show concludes another memorable Nazareth Day. One thing is for sure...it's the best day of the year in our Borough. Don't miss any of it! Beginning Wednesday, June 10, 2015, the Pool will be open seven days a week through August 23, 2015, then weekends through Labor Day...noon till 7:00 pm....weather and patronage permitting. Pool Pass rates include $150 per family of four (2 adults and 2 children) and $10 for each family member above the four person limit. Adult Senior Pool Passes...18years old and up... will be $75 and Junior Passes...ages 6 to 18 years of age...will be $60. The Senior Citizen rate...62 years old and older... will be $60 while Children under the age of 6 will be free when accompanied by a paying adult. Daily Pool Rates are $6 for adults and $5 for Juniors and Senior Citizens and Weekend Rates are $7 for Adults and $6 for Juniors and Senior Citizens. Pool and Pool Pass rates are the same for all patrons, regardless of residency. Rental of the Log Cabin will be $65 per day. The Borough will no longer offer individual picnic table rentals but instead will rent the pavilion in quadrants. The Large Pavilion will be rented in four areas with 12 tables in each for $50 per day while the Small Pavilion will be rented in two sectors with 12 tables each for $50 per day. Rental fees apply for all tables every day from Memorial Day thru Labor Day. The new Nazareth Pool will reopen on Saturday, May 23, 2015 at 12 noon again on Sunday, May 24th at noon and on Memorial Day, May 25, 2015 at noon. Day and season passes will be sold at the front desk during all open hours. The Pool will open seven days a week following the official closing of Nazareth schools and remain open through Labor Day with weekend swimming only following the opening of school the third week of August. Pool and Park rates for 2015 follow: Pool Pass rates include $150 per family of four (2 adults + 2 children) and $10 for each family member above the four person limit. Adult Senior Pool Passes will be $75 and Junior Passes will be $60. The Senior Citizen rate will be $60 while Children under the age of 5 will be free when accompanied by a paying adult. Daily Pool Rates are $6 for adults and $5 for Juniors and Senior Citizens and Weekend Rates are $7 for Adults and $6 for Juniors and Senior Citizens. Pool and Pool Pass rates are the same for all patrons, regardless of residency. Rental of the Log Cabin will be $65 per day. The Borough will no longer offer individual picnic table rentals but instead will rent the pavilion in quadrants. The Large Pavilion will be rented in four areas with 12 tables in each for $50 per day while the Small Pavilion will be rented in two sectors of 12 tables each for $50 per day. Questions about Pool hours, passes and availability of pavilions can be directed to Pool Manager Dianne Mullen at 610-759-3522 following the opening of the Pool on Memorial Day weekend. The Nazareth Skate Park reopened on Sunday, May 17, 2015 following months of renovations, repainting and upgrades by a volunteer Skate Park Committee under the leadership of Michael Fauerbach. The volunteer effort began last Fall with the group's formation and culminated on May 17th after finishing touches were applied to the eight year old facility. The May 17th reopening hosted lots of skaters and onlookers. A new era has begun with the opening of the Borough's $2.3 million Pool at a gala gathering on Sunday May 17, 2015. Advertised for weeks as a "get to know us" event, the proceedings began at 1:00 pm with Master of Ceremonies Richard Anderson welcoming guests and onlookers. Former Councilman Reverend Bill Matz followed with the invocation and the Colonial Regional Police Department Color Guard then began the "patriotic tribute" portion with their presentation of the colors, the National Anthem and concluded with the Pledge of Allegiance. Lots of people contributed to the Pool rebuilding effort and they were honored for their role in the process. The Borough's Pool Focus Group, a citizen led collection of businessmen, retirees, Borough employees and concerned parents fueled the rebuilding process after surveying residents, visiting other local pools and finally deciding on the eventual Pool Architect and Pool Design firms. Also honored was the Nazareth Kiwanis Club for their donation of $42,000 which paid for several of the water features the new Pool sports. A memorial plaque was unveiled and will be mounted on the Bathhouse wall commemorating the Kiwanis contribution. A fireworks salute then signaled the official opening as Mayor Carl Strye and Councilman Brian Regn both used the diving boards to christen the facility and welcome anyone in attendance for a free afternoon of swimming. A Poolside Dance complete with a disc jockey entertained the estimated 600 swimmers who enjoyed a truly memorable afternoon for our Borough...one that few will soon forget. The wonderful news came on Tax Day, April 15, 2015 in an announcement by the Pennsylvania Borough's Association...the Nazareth website had been voted #1 in Pennsylvania and tops in our state. The prestigious award honors our Borough's site for content, design, accessibility and overall function and rated it "Number One" over 1,700 other Borough municipal websites across our state. The Borough will receive a plaque commemorating this honor at the State Association of Boroughs Annual Conference at the Lancaster Marriott on Tuesday, April 28, 2015. The website was designed by New Arrival Studios in conjunction with the Borough Secretary/Treasurer and the Borough Clerk. The Borough's Secretary/Treasurer composed all of the articles and information contained on the site including maps, historical information about the Borough, driving directions to Nazareth and the composites and background information about Borough Officials. Council President Dan Chiavaroli, an avid photographer, provided all of website scenic Borough pictures while Borough Clerk Chris Lilly, the site's "webmaster" posted all of the articles and pictures. Welcome to the Borough of Nazareth website. The borough is named for the Biblical town of Nazareth. William Penn bequeathed this land to his daughter, Letitia, who under colonial law would have had to pay a single red rose each June 24, if so demanded by the trustees. People in Nazareth celebrate this every year on June 11 and 12 by various organizations selling single red roses throughout the town. The Borough of Nazareth, founded in 1740 by Moravian settlers, is a quaint and charming community situated in central Northampton County just four miles north of Bethlehem and seven miles northwest of Easton. Nazareth can boast of quiet and attractive neighborhoods and easy living and its 5,746 residents enjoy the Borough's great parks, heralded school system, convenient downtown and one hour access to New York City and Philadelphia. Historically, Nazareth was an industrial town with the production of cement, textiles, yarn and fabricated steel at its heart but the town will always be linked with its best known and most popular product, the Martin Guitar. Thousands of the prized guitars are still produced each year for worldwide distribution and each summer, the town proudly hosts the annual "Martin On Main Street Festival". Serviced by its own Police Department and Vigilance Hose Volunteer Fire Company, Nazareth offers a unique community spirit which manifests itself in several traditional events like Nazareth Day, The Block Party, parades and holiday tours. The Borough can be accessed by Routes 191 which passes through the heart of the downtown and Route 33 which skirts the Borough's eastern borders.